Eddie Hoh (Edward Hoh) (aka Fast Eddie) - Died 11-7-2015 in Westmont, Illinois, U.S. (Rock - Pop - Folk) Born 10-16-1944 in Forest Park, Illinois, U.S. - Drummer - Worked with The Downbeats, The Millionaires, The Strangers, The Invaders, The Modern Folk Quartet, Robby & The Troubadours, Donovan, The Mamas And The Papas, Charlie Musselwhite, Barry Goldberg, Lee Michaels, Tim Buckley, The Giant Sunflower, Gene Clark, Mike Bloomfield, Al Kooper, Stephen Stills and The Monkees. Martin Beard - Died 11-10-2015 (Rock) He was 68 years old - Born in London, England - Bassist - Was a member of Sopwith Camel (They did, “Hello, Hello” and “Cellophane Woman”). Allen Toussaint (aka Allen Orange, Al Tousan, Clarence Toussaint and Naomi Neville) Died 11-10-2015 in Madrid, Spain (R&B - Jazz) Born 1-14-1938 in Gert Town, Louisiana, U.S. - Singer, pianist and songwriter - Was a member of The Flamingos - Worked with Dave Bartholomew, Fats Domino, Smiley Lewis and Lee Allen - (Wrote Ernie K-Doe’s, “Mother-in-Law"and Benny Spellman’s, “Fortune Teller”) - His songs have been recorded by The Rolling Stones, The Hollies, The Nashville Teens and The Who - Produced Dr John, Jessie Hill and Labelle - Rock And Roll Hall Of Fame Inductee and Louisiana Music Hall Of Fame Inductee. Phil Taylor (aka Philthy Animal) - Died 11-11-2015 - Liver failure (Metal) Born 9-21-1954 in Hasland, Chesterfield, England - Drummer - Was a member of Motorhead and Operator - Worked with Waysted, The Web Of Spider, Capricorn, Overkill, Mick Farren And The Deviants and Frankie Miller. P. F. Sloan (aka Flip) (Philip Gary Schlein) - Died 11-15-2015 Los Angeles, California, U.S. - Pancreatic cancer (Rock) Born 9-18-1945 in New York, New York, U.S. - Singer, guitarist and songwriter - (He did, “I Can’t Help But Wonder” and “The Sins Of A Family”) - Collaborated with Steve Barri - Was a member of Philip And Stephan, The Wildcats, The Street Cleaners, The Rally-Packs, Themes Inc. and The Lifeguards - Worked with The Fantastic Baggys, Jan And Dean, Bruce & Terry, The Rip Chords, The Mamas & The Papas, The Grass Roots and The Fifth Dimension - Wrote songs for Barry McGuire (“Eve Of Destruction”), The Turtles (“You Baby”), Herman’s Hermits (“A Must To Avoid”), Johnny Rivers (“Secret Agent Man”) and The Searchers (“Take Me For What I’m Worth”). Dave Trupp (David A. Trupp) - Died 11-17-2015 - Pulmonary embolism (Rock - Blues) Born 7-10-1943 in Grand Island, Nebraska, U.S. - Drummer - Was a member of Cotton and The Liberation Blues Band - Worked with The Eccentrics, Zager & Evans (“In The Year 2525”), Otis Rush, Buddy Guy, Mike Bloomfield, Paul Butterfield, Howlin’ Wolf, Wayne Cochran and The Everly Brothers. Cynthia Robinson - Died 11-23-2015 in Carmichael, California, U.S. - Cancer (Rock - Funk) Born 1-12-1944 in Sacramento, California, U.S.- Trumpeter and singer - Was a member of Sly And The Family Stone (They did, “Dance To The Music” and “Higher”) - Worked with Graham Central Station - Rock And Roll Hall Of Fame Inductee. Wayne Bickerton (Arthur Ronald Bickerton) - Died 11-29-2015 (Rock) Born 7-11-1941 in Rhyl, Denbighshire, Wales, U.K. - Guitarist and songwriter - Worked with Steve Bennett And The Syndicate, The Bobby Bell Rockers, The Remo Four, Lee Curtis & The All Stars, The Pete Best Four, Petula Clark, Tom Jones and Kenny Everett - Produced Giles, Giles & Fripp, The Focal Point, Pacific Drift, Granny’s Intentions, Mongrel and World Of Oz - Wrote songs for The Flirtations (“Nothing But A Heartache”) and The Rubettes (“Sugar Baby Love”). Kelvin Knight - Died 12-2-2015 - Liver and kidney failure (Punk) He was 56 years old - Drummer - Was a member of The Axe and Delta 5 (They did, “Mind Your Own Business” and “Try”) - Managed New Southern Electric. 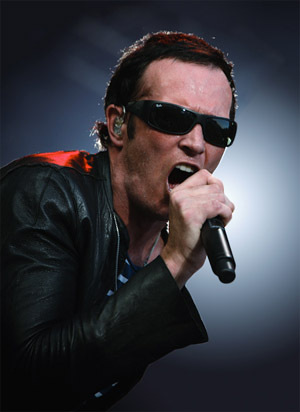 Scott Weiland (Scott Richard Weiland) (Born Scott Richard Kline) - Died 12-3-2015 in Bloomington, Minnesota, U.S. - Cardiac arrest (Rock) Born 10-27-1967 in San Jose, California, U.S. - Singer - (He did, “Missing Cleveland” and “Beautiful Day”) - Was a member of The Stone Temple Pilots (They did, “Plush” and “Vasoline”), Velvet Revolver (They did, “Slither” and “Fall To Pieces”), The Wondergirls (They did, “Let’s Go All The Way” and “Drop That Baby”) and Scott Weiland And The Wildabouts (They did, “Circles” and “Blues Eyes”).